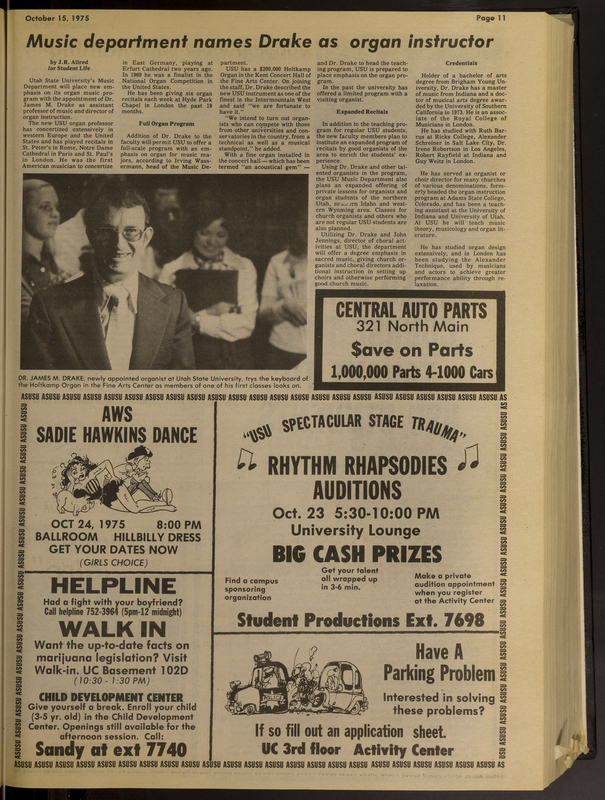 Page eleven of the Student Life newspaper from October 15, 1975. Features a call for auditions for the annual Rhythm Rhapsodies competition. Utah State University Special Collections and Archives, University Archives, Record Group 25.5/8, October 15, 1975. Student Life, “Student Life newspaper 1975-10-15,” USU Digital Exhibits, accessed April 21, 2019, http://exhibits.usu.edu/items/show/18511.